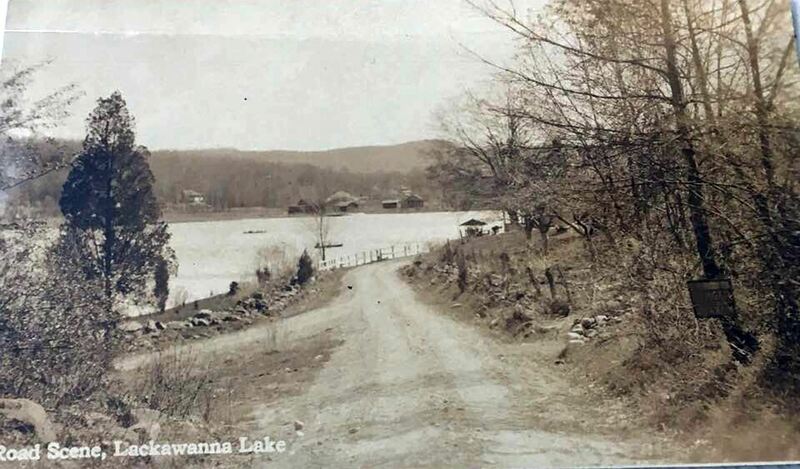 This image is perhaps my favorite vintage photo of Lake Lackawanna for many reasons. First and foremost, it shows an early view of the house where I spent my formative years at the lake - 175 Lackawanna Drive. Secondly, this particular RPPC has been postmarked, and therefore it serves as an important reference point in establishing an upper limit on the date (July 1928) at which the stone masonry addition to the original McPeek farmhouse was constructed. Thirdly, the card was written and posted by the owner of the property at that point in time, Mrs. Clara Stires Singer, sister of Mary Borowsky (my godmother). The property was deeded to Paul & Mary Borowsky a decade later in June 1938. Lastly, I was extremely fortunate to find this card on eBay about 15 years ago and lucky enough to win it! On the reverse of this card, addressed to a Mrs. F. Craig in Jersey City, Clara Singer simply writes “This is my home. Hope you are feeling fine.” The card was postmarked in Stanhope on 28 July 1928. 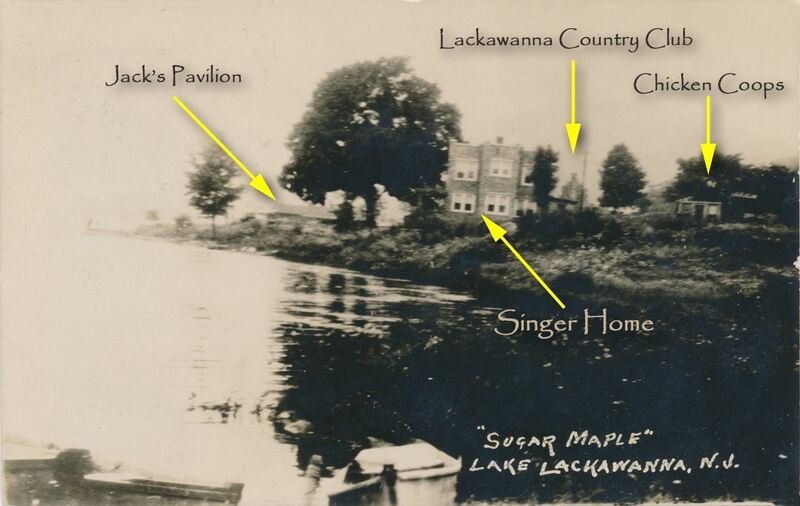 As posted previously, the Singer property (175 Lackawanna Drive) and surrounding environs are on the site of the original McPeek farm which dates back to the 1800s, predating the construction of the Lackawanna Cutoff and the formation of Lake Lackawanna. The original farmhouse which, after some renovations, became the middle apartment of the Singer property, cannot be seen from this specific vantage point. Only the “newer” stone masonry section can be seen in this view. © Lake Lackawanna Investment Co., Inc.